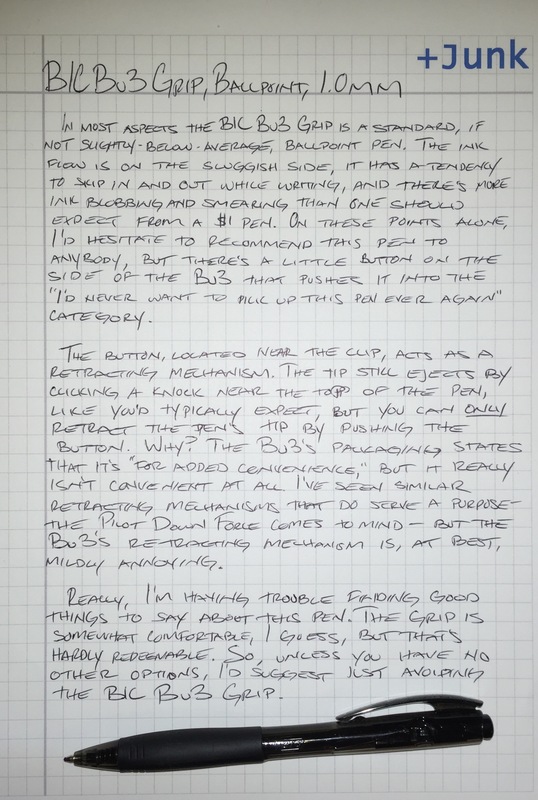 In most aspects the BIC Bu3 Grip is a standard, if not slightly-below-average, ballpoint pen. 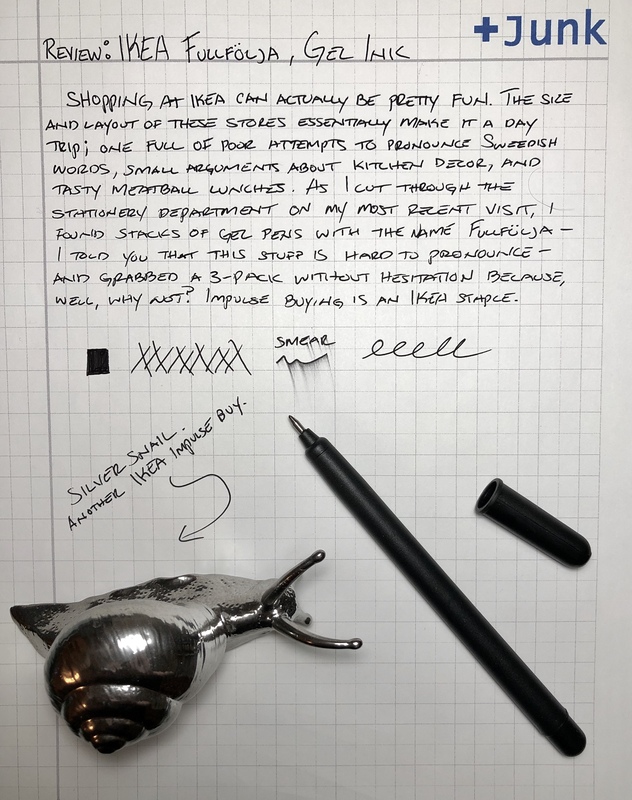 The ink flow is on the sluggish side, it has a tendency to skip in and out while writing, and there’s more ink blobbing and smearing than one should expect from a $1 pen. 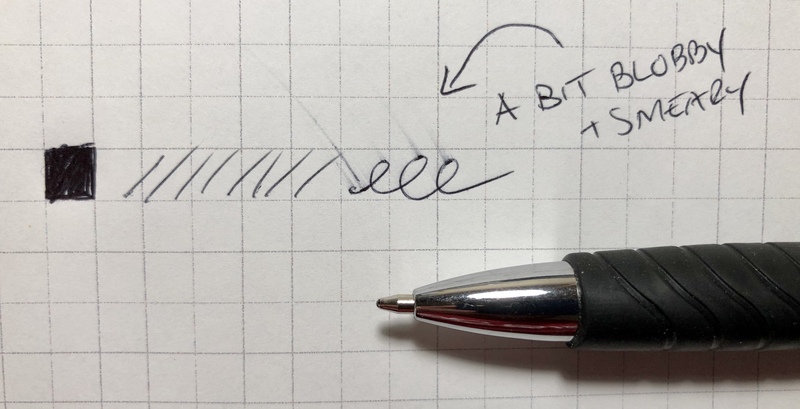 On these points alone, I’d hesitate to recommend this pen to anyone, but there’s a little button on the side of the BU3 that pushes it into the “I’d never want to pick this pen up ever again” category. 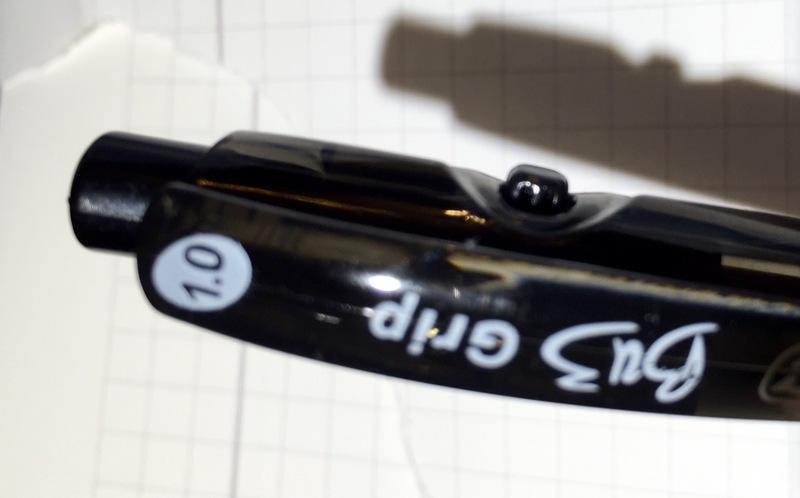 The button, located near the clip, acts as a retracting mechanism. 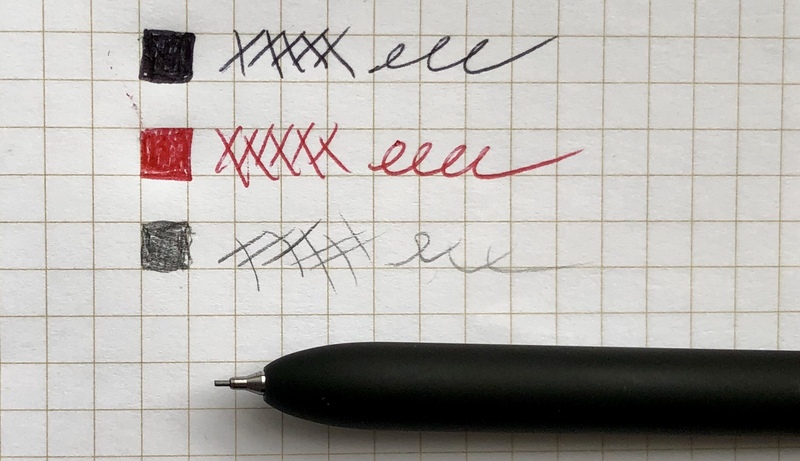 The tip still ejects by clicking a knock at the top of the pen, like you’d typically expect, but you can only retract the pen’s tip by pushing the button. Why? The Bu3’s packaging states that it’s “for added convenience,” but it really isn’t convenient at all. I’ve seen similar retracting mechanisms that actually do serve some purpose – the Pilot Down Force comes to mind – but the Bu3’s retracting mechanism is, at best, mildly annoying. 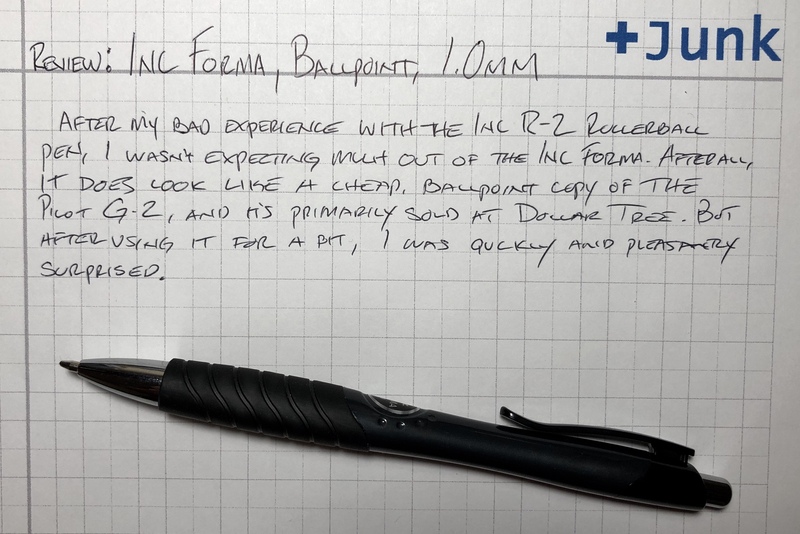 Really, I’m having trouble finding good things to say about this pen. The grip is somewhat comfortable, I guess, but that’s hardly redeemable. 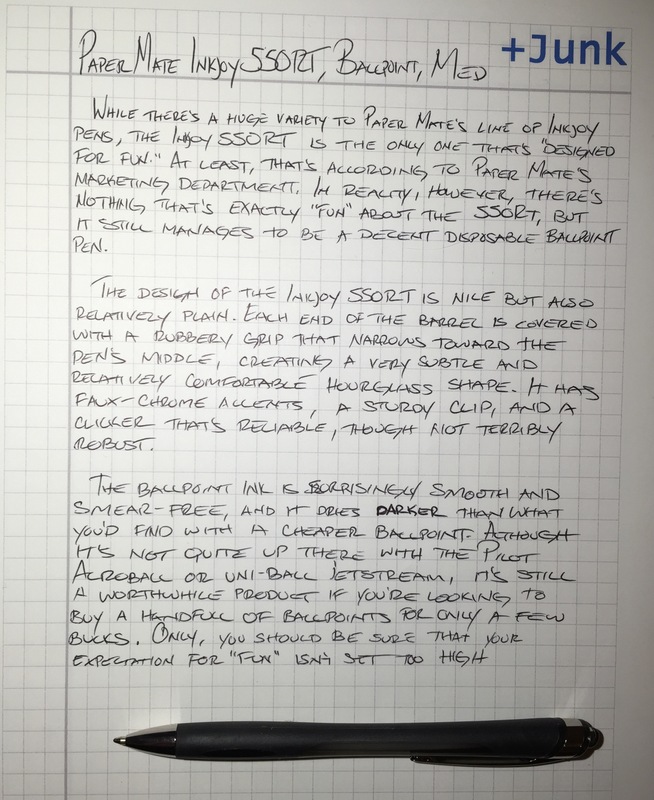 So, unless you have no other options, my suggestion is to just avoid the BIC Bu3 Grip.